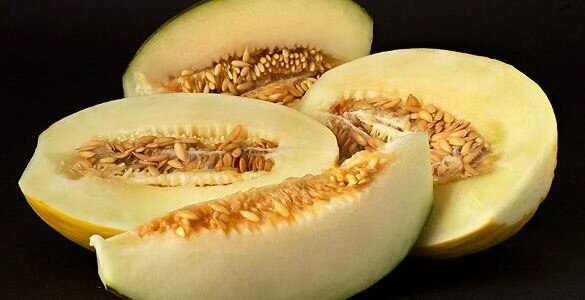 A Spanish consortium conducted by scientists at the Spanish National Research Council (CSIC), the Institute for Research and Technology in Food and Agriculture (IRTA) and the Centre for Genomic Regulation (CRG) has obtained the melon genome. The study in which the CNAG has collaborated is published in the magazine _Proceedings of the National Academy of Sciences_ (PNAS). Results have shown that the melon genome has 450 millions of base pairs and 27.427 genes. It is much bigger than the genome of its nearest “relative”, the cucumber that has 360 million base pairs. Another question of interest is that related to the ripening of the fruit, a process which determines fruit characteristics such as taste and flavor. Scientists have identified up to 89 genes related with some aspects of this process: 26 genes related to the carotenoid accumulation -which gives the color to the melon flesh- and 63 related to the sugar accumulation and the taste of melon. Twenty-one of these have never been described before. The CNAG researcher, Tyler Alioto, in collaboration with the CRG, led the effort to identify and assign functions to the complete set of protein-coding genes in the melon genome. More specifically he created a reference gene set (27.427 genes in total) from a combination of gene predictions and gene expression evidence. This repertoire of annotated genes, which includes disease resistance genes and the aforementioned genes affecting fruit quality, can be used as a new tool to improve melon varieties through breeding, as well as aid our understanding of the evolution of the family of cucurbits. The CNAG also resequenced other melon varieties, including the parental genomes, that will help to identify genetic variation among different melon varieties.